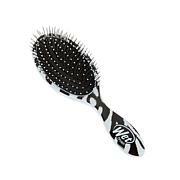 A travel-sized mini hair brush that is specially designed with Intelliflex™ bristles to minimize damage to hair and detangle. NOTHING MORE TO SAY. IT WORKS. LOVE THE SIZE. LOVE THE BRUSH. This is the only brush my 4 year old daughter lets me use on her. I had to buy two, one for travel and one for home. The assortment of colors is great to because I was able to get her favorite. 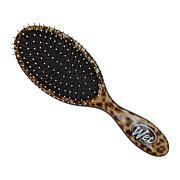 This mini brush is fantastic and goes right thru my hair with ease. Thanks hsn for another great product!! I have a little tiny morbid with long hair that gets matted and he fights me when I brush him because it hurts - especially brushing his legs. So I thought maybe this brush would work for him. Well voila!!! It does and he doesn't fight me during our brushing sessions. I'm thrilled. Maybe you should come up with a line for pets???? I bought this brush to use along with Cantu products in my 3 year old daughter curly hair. It works wonders. It slides right through her wet hair like magic. 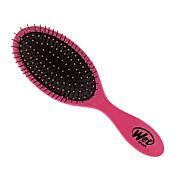 No more tangles.